Where do I begin? There’s nothing that we didn’t experience or go through in this past year, all of us. Let’s start at the beginning. The American economy was in recession, but we didn’t dare use the word depression. Let’s face it; we were in an economic depression. Many of us were unemployed for the first time. A lot of companies went belly-up. People who thought they would retire from their respective companies had a rude awakening. Many employees lost their pensions or were told they were not even getting their last paycheck, not even a severance package. So many people became displaced. What do you do when you’ve been trained to do a certain job, or trained for a certain position, or obtained your degree to now work in a position that requires no formal education? None of us saw this coming. 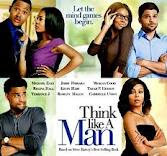 I DON’T WANT TO THINK LIKE A MAN! Steve Harvey’s movie is coming out soon. I read ACT LIKE A LADY, THINK LIKE A MAN a few years ago, but I have to disagree with my brother. Just like a woman can’t tell you how to be a man; a man can’t tell you how to be a woman. GOD made us in HIS image. We were made from Adam’s rib so that man would not be alone. We weren’t meant to be alone. As I look back on what I read I see that Mr. Harvey mapped out a strategy. I never learned to play chess. Maybe if I was a chess player I could appreciate the map of a strategist. Don’t get me wrong. I am a sore loser. I don’t like to lose, but if love is a game I’d rather not play. Years ago I use to take in crazy like people take in stray dogs. Your life was going nowhere? Aaaw poor baby, let me help you. You were having a pity party? Let me join in and help you feel sorry for yourself. NO MORE! Sorry baby that chapter is closed and so is the door. I am not desperate for a man or a friend. I never was. I heard something today that brought this to mind. Hallelujah! That was a freeing moment. Not that I didn’t already have the freedom, but it was the first time I acknowledged it. Are you delivered if you don’t recognize the deliverance from your past? You already know the answer. Most of you that read my writing realize most of my questions are rhetorical. This one is definitely in that category.